As a band, Lords of Black had been generally overlooked until their virtuosic vocalist Ronnie Romero was plucked from relative obscurity to front Ritchie Blackmore’s latest incarnation of Rainbow. This would ultimately become a large boon to the popularity of the Spanish band with their previous album ‘II’ selling well on the back of Romero’s endeavour with Blackmore. ‘Icons of the New Days’ is the latest and overall third studio album from Lords of Black. It is stuffed full of the power metal riffs and soaring vocals that have come to be expected from the band. When compared to the bands second album, ‘Icons…’ has a hell of a lot more consistency, both in song writing and song structure; something which Lords of Black have struggled with since their debut album. Romero’s vocals are once more the saving grace, his time in Rainbow seems to not only have improved his pronunciation, but also his phrasing and vocabulary, adding an extra arsenal to a voice which is already strong, powerful and versatile. 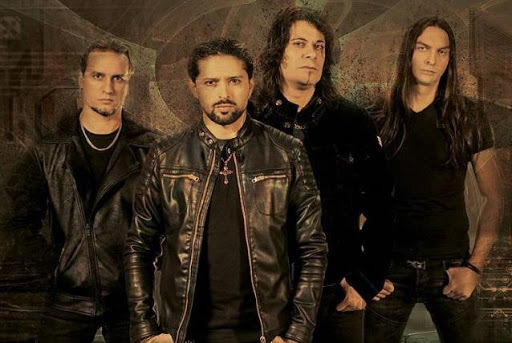 Alongside the expected power metal, the band have also incorporated an element of progressive metal into their music, the track ‘Never A Prayer for the Dying’ has an extremely meaty riff and when coupled with Romero’s high soaring voice, it would appeal to any fan of classic era Iced Earth, whilst the guitar work during ‘The Way I’ll Remember’ has all the hallmarks of early Yngwie Malmsteen. Unfortunately, many of the issues which plagued ‘II’ do resurface here, ‘Icons…’ like its predecessor is just far too long and many of the songs fail to be memorable. However, that is not to say that these songs are poor, in fact, far from it. Tracks such as the excellent opener ‘World Gone Mad’, ‘King’s Reborn’ and the towering title track are just that strong that they overshadow the remaining tracks. 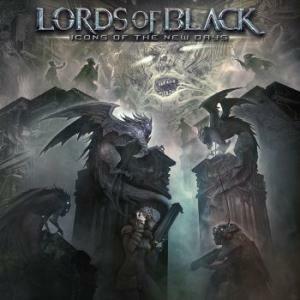 Lords of Black are moving forward, ‘Icons…’ is a huge step in the right direction in a genre which can sound easy sound bogged down in a generic sound, the band have excellent musicians and a unique vocalist and this album could prove to be a pivotal release in helping Lords of Black stand out from the crowd, breaking the monotony of power metal indifference and give them the staying power they so readily deserve.